Maddison in the Family Room with the presents she donated. Maddison made Monday morning very special in the Family Room. After a week of celebrating turning 4, Maddison decided she wanted to do good and help others. She decided that she wanted to donate all of the presents she received for her birthday to the sick children in the Hospital visiting the Family Room. Giving away all of those presents wouldn’t have been easy, but Maddison did so with a big smile and a kind and caring heart. 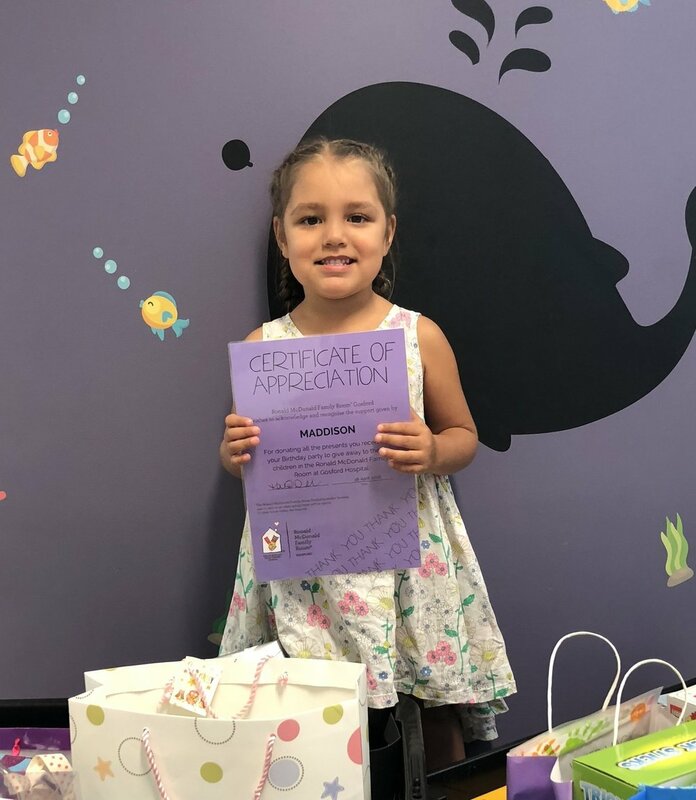 Sometimes Monday’s can be hard, but when people like Maddison stop by the Family Room, you can’t help but feel uplifted and thankful for the amazing support of the community. Pledge your birthday to help keep families together. It's easy. Instead of gifts, ask for donations.